packaging : Not having the actual CD case and insert and only having the audio files, I can only comment on the cover art. It is striking, bright pink and black with a hypnotic pattern on it. Simple design but I would say it definitely stands out and screams LOOK AT ME! Which I feel is fitting for Massiv In Mensch. 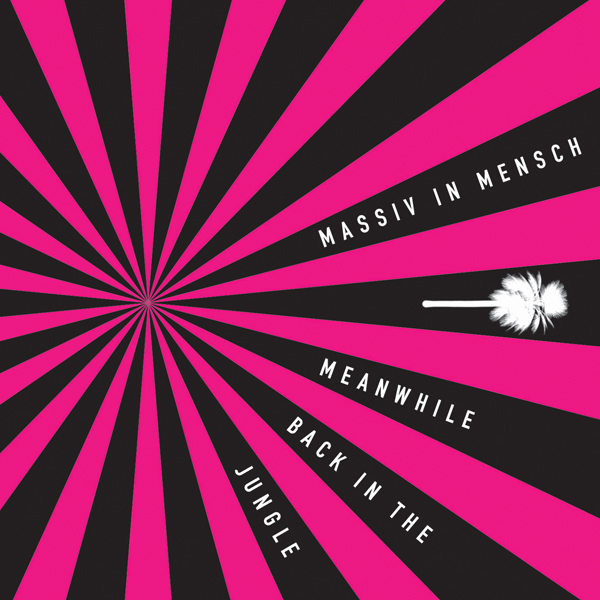 content : Massiv in Mensch is back and banging out another classic Massiv In Mensch album. This time it’s a little different, it only takes to the second track to notice this. 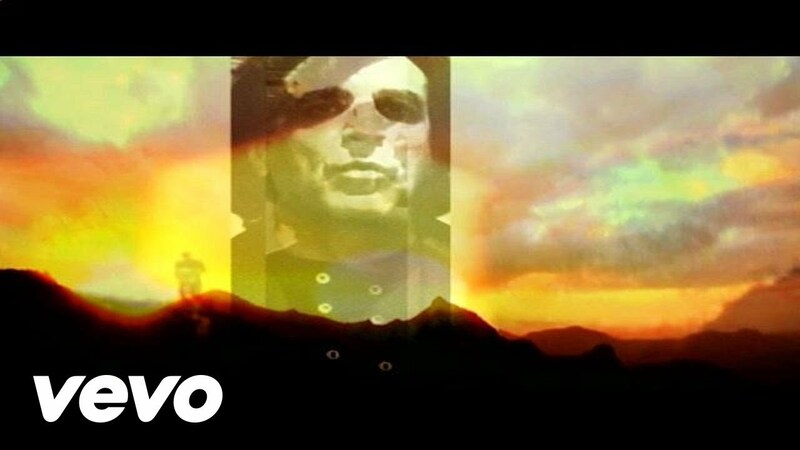 On this album, they teamed up with Mind.in.a.Box on the track “Supermassive Gravity”, and lets just say this paring should do a full-length album together because it would be just incredible. I heard this track about 10 months ago on a compilation CD and instantly fell in love with it. I recommend finding the other versions of this track because the version on this album is not the best one that I have heard. Moving on, the next group of tracks are the thumping bass with humorous lyrics, well the ones you understand (the lyrics are half German and half English), that you have come to expect. The track “Alone” switches it up a bit and shows some range with a slower more emotional feel to it. This also provides a nice break in the album from the non-stop club smashers. Near the end of the album you find some almost purely instrumental tracks, which round out the album nicely. If I were DJing I would have a hard time picking one track to play, in fact I would play all the tracks but maybe the intro track… although I have done some weird things while I was DJing before. Overall this album is unmistakably Massiv in Mensch. Solid from start to finish, this could be one of their best albums. If you liked their other albums you will definitely like this one, unless you went deft, then perhaps you wouldn’t like it at all. content : A batch of well composed tracks that frankly surprised me. I’ve heard the bands name for long enough now and based on this album its time for me to go back and see what I’ve missed before now. 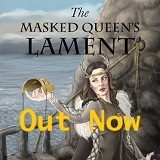 The music is solid and imaginative, I never felt like I was listening to the same track over and over. I didn’t get bored enough on the second or third listen to skip any track. 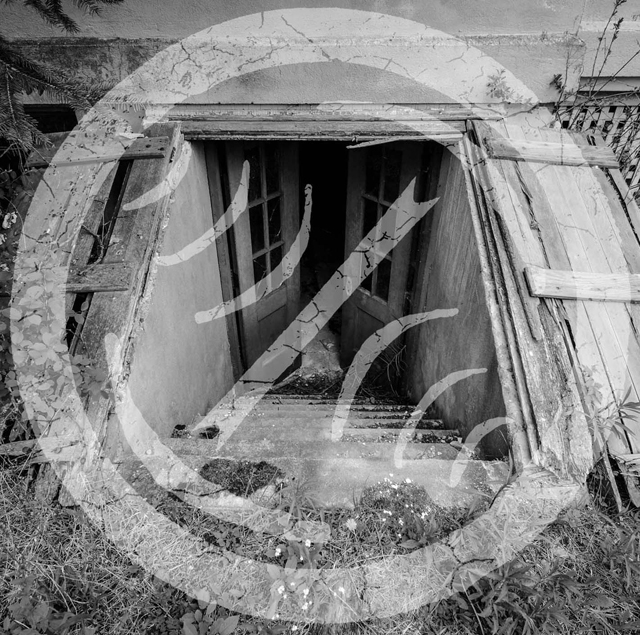 Influences from acid house, techno, trance, and harsh EBM all mix to keep my interest. There’s a good variety of style within the album, some trance inspired (“Crystal”), some laid back (“Alone”) and some dance floor pounders (“Never Trust the Outline” and “Powerful”). Lyrics are in both German and English depending on the song. Due to my not speaking German I can only comment on the English writing, I found the lyrics to be good, but not exceptional. Vocal performances are solid and everyone who contributes adds to the songs in a positive way. content: EBM club goers anticipate what kind of style Massiv In Mensch will do next. What direction? What sound? A band that was never predictable had us waiting and wondering when their latest release will be ready for completion. 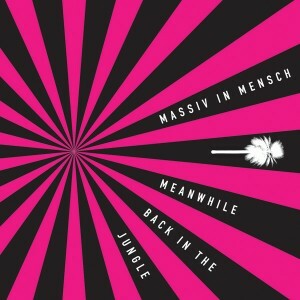 Well the wait is over as “Meanwhile Back in the Jungle” has been released by the German duo. Banging out hard driving beats along with German vocals and hard synths, Massiv in Mensch is the cure for ailing dancefloors everywhere. When DJs like myself obtain new music our first and natural instinct is to thumb through to the possible club hits. Well I am happy to say that I found some on here and I am confident that I found one with “Supermassive Gravity”. The song is beautifully mixed and mastered by Mind.in.a.Box and let’s just say this song delivers. It is equally blended with electro/industrial sinfulness that taps you on the back and when you turn around you get belted in the face with a hard driving catchy rhythmic exploding beat that when you’re done listening to it you instantly want to hear it again and again. Heads up to CD and mp3 players out there because you will be having your repeat buttons violated. Massiv in Mensch has a comical side to themselves too, people who already own any of their cds have already found that out. That is evident on tracks like “Hou Je Bek Vuile Teef” and “Pink Dream” as well as some life affirmation inspired works like “Powerful”. It certainly looks like they were fans of a certain 19th century philosopher from Germany wouldn’t you say? “Ikonoklast” and “Never Trust the Outline” journey us around the album through an electronic trip of what EBM is all about. I was pleased with this album and even though Massiv in Mensch are not at the top of the goth subculture’s food chain they should be in the same area code but lack of exposure in the clubs and the states have pushed this group back. Hopefully that will change and Massiv in Mensch could launch a US tour to put themselves out there. That’s what the big name groups in this scene have done and done well. People want to see groups that are played in their clubs, CDs, and iPods. Clubbers in the states want to experience those bands followed by good performances so don’t forget about the people in the US because it will only help the bands gain that upper escalante that is so desired by many bands but only attained by a few. If you don’t own any copies of Massiv in Mensch then do yourself a favor and go out and buy yourself a copy because this group should be in every goth, rivethead, raver or whatever’s CD collection and I suggest to start with “Meanwhile Back in the Jungle”.